HB494, relative to removal or containment of contaminants from the Coakley Landfill passed the House Floor on a whopping vote of 230–98 after the full House kept the Imminent Threat declaration in the bill. Over 100 emails were sent to House members about this bill. Thank you all for raising your voice about this important environmental issue — our work is not done we have to now focus on the Senate. Click here to use our tool that makes it super easy to send all NH Senators a message to support this bill. HB261, requiring the NHDES to revise rules relative to arsenic in drinking water passed the House floor on consent. This is a follow up to HB1592 that passed last session and will reduce the exposure to arsenic in water in half. This is so important because our bladder cancer rates are the highest in the nation and 37% higher than the national average. Thank you to Rep. Chuck Grassie (Somersworth), Rep. Nancy Murphy (Merrimack), and Rep. Renny Cushing (Hampton) for continuing to bring this important change to fruition. HB736 and SB85, sister bills to re-establish a commission to study environmentally triggered disease, created by HB511, moved through respective chambers last week. The House version passed the floor on consent to the Senate and the Senate bill is scheduled to pass the Senate on Consent this week. This commission worked on important issues for 2 years and is a critical step in preventing cancer in NH when we have the highest rates of pediatric, bladder, breast and esophageal cancer in the nation and some of the highest thyroid, liver and other cancers. I attended the Arsenic Consortium Meeting last Friday in Concord. 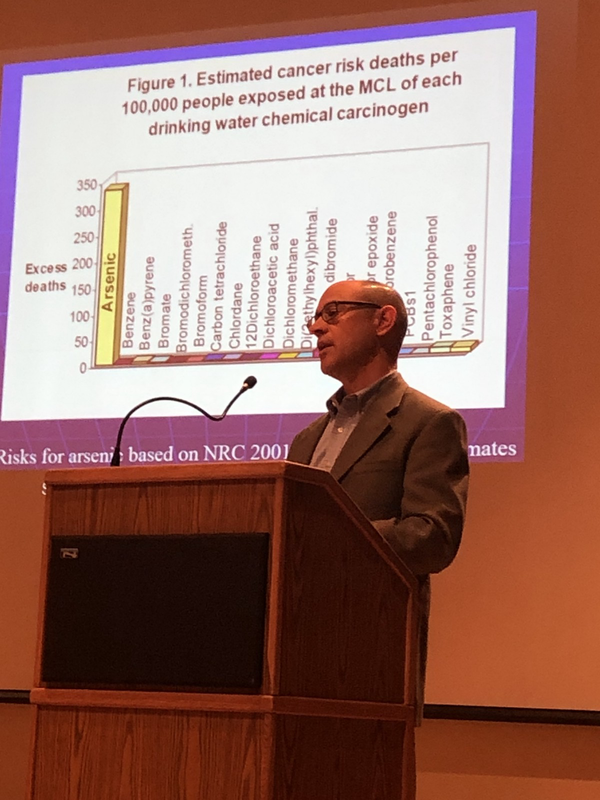 Results reported out at the meeting included important findings of work implemented through the HB511 Commission which developed stakeholder support for reducing the arsenic drinking water standard and important biomonitoring programs planned to start this year for arsenic, radon and perfluorinated chemicals. HB737 relative to establishing a commission to study environmental and health impacts from exposure to perfluorinated chemicals in Merrimack, Litchfield and Bedford passed the House floor on consent. This is an unfolding environmental tragedy in NH where the DES admits now that up to 65 square miles of aquifer has been contaminated from air emissions. Thanks to Rep. Murphy (Merrimack). On Tuesday, March 26, the Senate Judiciary Committee will hear HB455 relative to the repeal of the death penalty. The bill passed the House floor on a veto-proof majority vote! About 50 people helped out as it moved through the House using our tool. You can see how your House Representatives voted by clicking here. If they supported it you can help out by thanking them for their support and asking them to sign in on Tuesday in support in the Senate committee hearing using our tool by clicking here. On Tuesday and Wednesday, the House Criminal Justice and Public Safety Committee will be working on several important pieces of legislation relating to gun-free school zones and protection of vulnerable adults. Click here to see the schedule. 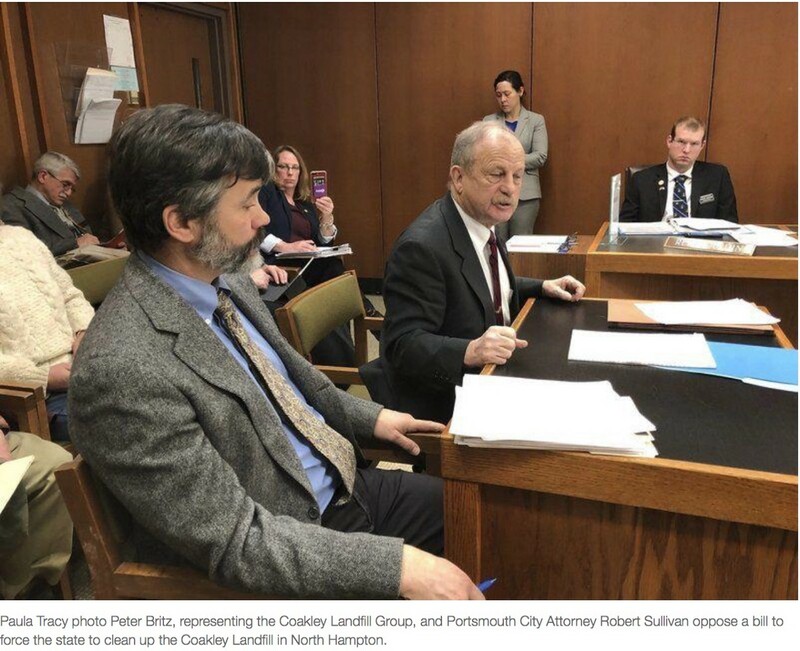 Coakley Landfill Group Public Meeting, Thursday, March 28 at 11:30 AM at Portsmouth City Hallwill be your chance to assert your right to know, allowed to us by Judge Delker’s 24-page decision in Messmer, et al., v. Coakley Landfill Group. Hold CLG responsible for protecting the seacoast surface water and drinking water. Please come if you can! Seacoast Cancer Cluster Commission Meeting, Wednesday, April 17 at 10:00 AM , room 205 at the Legislative Office Building in Concord. Please come and support the efforts to understand ways to reduce pediatric cancer in the 5-town area of the seacoast of NH. 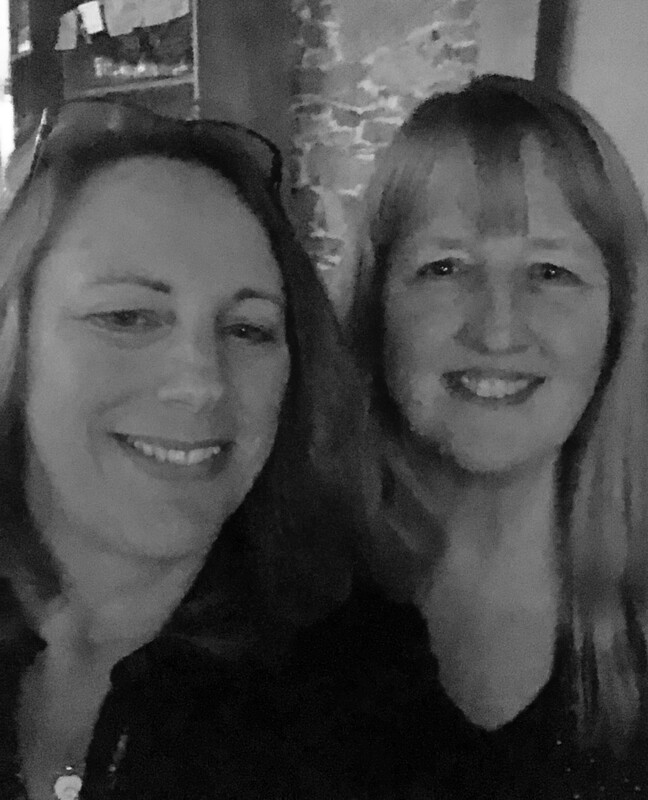 I have been traveling around NH as Co-Founder of New Hampshire Safe Water Alliance to bring “The Devil We Know” NH Film Series to cities and towns. The series is sponsored by several organizations (see below). 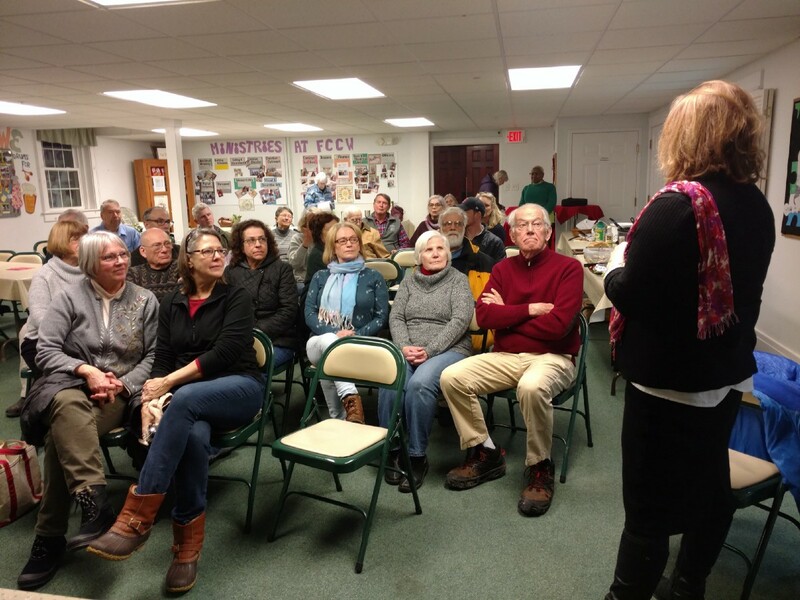 We have shown the film in 13 communities across NH so far. Over 620 people have seen the film and most have participated in our advocacy action items. This series is raising awareness about an environmental scandal that is impacting NH and how you can play a part in making change. So far, over 400 have signed our petition to ask the NHDES to establish more strict limits to reduce our exposure to PFAS chemicals in our water. Can you help us get to 1,000 signatures by the April 12 NHDES deadline by clicking here? Here’s the schedule for upcoming screenings in a town or city near you. We are continuing to add dates and locations upon request. To keep updated on screenings near you, click here. Please visit (www.mindi4nh.com/science-exchange) to learn more about these issues and what you can do.